God had visited Abraham and shared a meal with him as friends do. Then He sent His angels on ahead to the city of Sodom. He was going to pronounce judgment and punish it for the great sins the residents had committed. But as God sent the angels away, He stayed with Abraham and revealed His plan. God’s actions were just. In His righteousness, He could not overlook or excuse the sin in the city. He was not willing to let it continue in wickedness any longer. 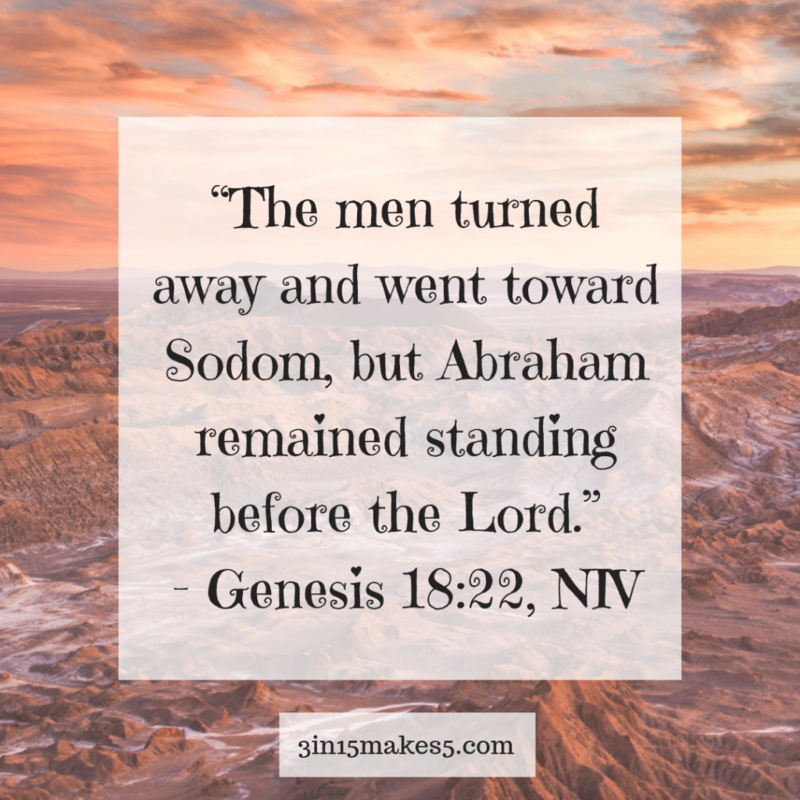 When Abraham knows this, he begins to plead with God, begging for the city to be spared. He negotiates with God, asking if He would spare the city for fifty righteous people living inside of it. Sometimes when we intercede for others, we’re tempted to downplay their sin. But every sin is an affront to the Holy God. Rather than excuse unrighteousness, follow Abraham’s example and focus on the character of God. Lord, I know (name) has sinned against you. But I also know that You are merciful and compassionate. Please forgive them for their sin. Restore them to fellowship with You so they can walk in Your righteous ways. In Jesus’ name, Amen.